Hi folks! Welcome to day 2 of the crazy, packed Winnie & Walter release! There were several sets introduced yesterday, are you ready for a ton more today?! 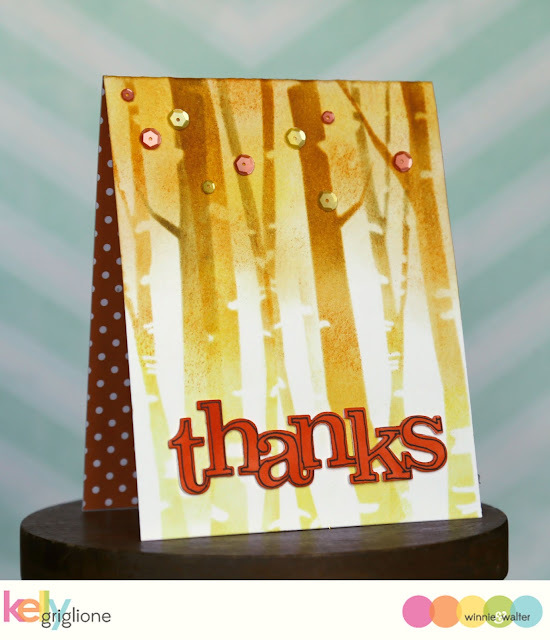 This card uses the same Into the Woods creative screening to make a fall forest design, inspired by the trees outside my mother's patio (check out the leafy floor ... doesn't it remind you of sheet music with all those straight parallel lines?) I don't know how this happens, but my alcohol inks always tend to darken after some time. Does this happen to you too? I could swear this card was very yellow with some orange when I made it, and then the next morning when I photographed it in the natural light it looks very brown. Darn it! Anyway, the In a Word: Thanks cutaway is also used on this card, with some outlining of the letters in a felt-tip pen. 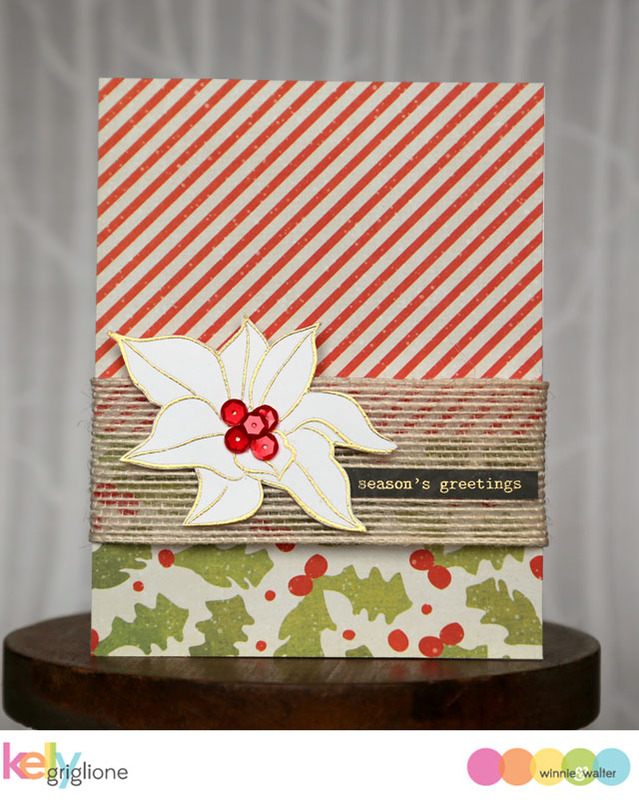 This card is made completely from the Comfort + Joy set. I love that there is a deer head and a jingle bell in the same set! LOVE the flock of birds flying. Super love that. And I'm also nuts over all the tiny sentiments. These are so good for when 1) your design is small and you don't want to take away from it, or 2) your design is perfect just the way you want it and then you realize that your card has no sentiment on it yet (I hate it when that happens!) 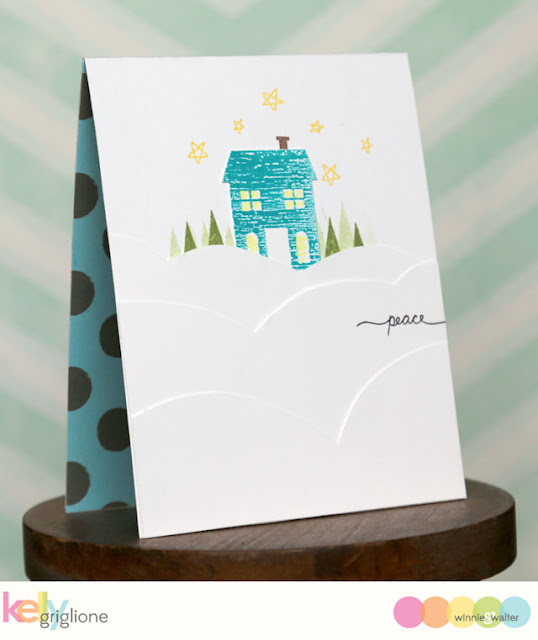 These small sentiments are easy to sneak onto a card without disturbing it too much. Finally, it was my son's 8th birthday this weekend. We had a party. 18 eight-year-old boys. Yes it was crazy. Yes it was stressful. Yes it was fun. 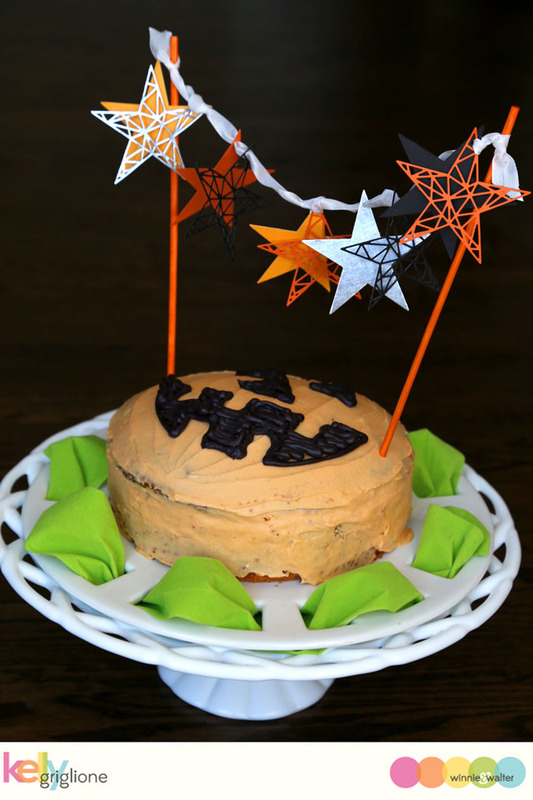 Here's the cake topper I made for his Jack-o-lantern cake. Eeek, I just loved it!! 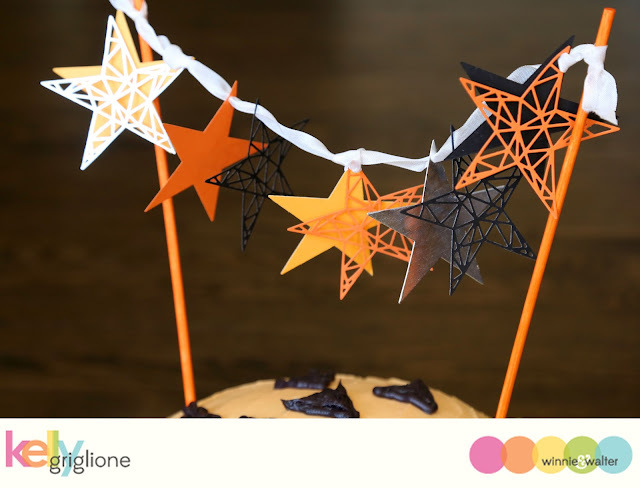 The true star cutaways in the faceted and solid design are just the right size to pack a whole lot of punch on top of his cake. 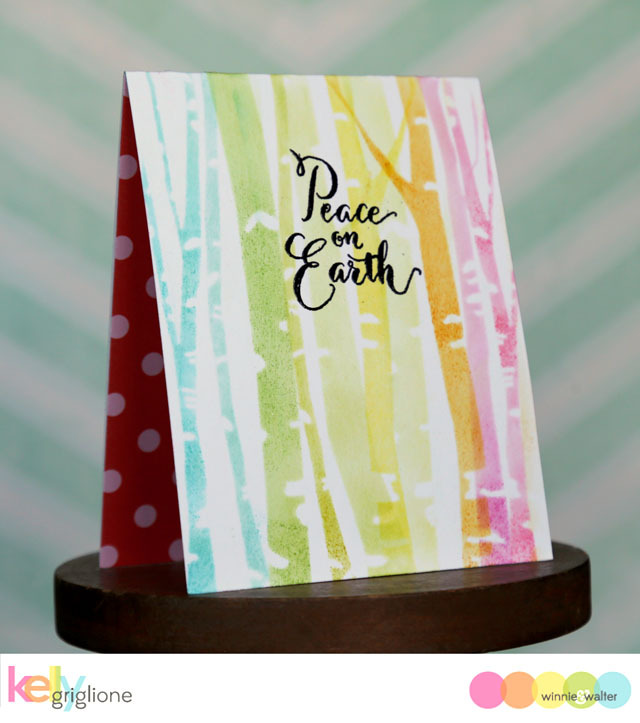 I love using card-making supplies in everyday life!! Ok, one more photo! Here's the aftermath of the 18 eight-year-olds. Mostly toilet paper from the mummy wrapping. But also a little bit of pinata thrown in on the far right by the front door (see the rope hanging down?) Umm ... good thing we installed hardwood floors when we moved in! 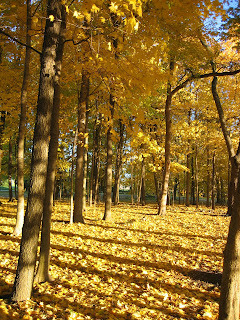 Be sure to stop by over the next two days ... there is just so much left to show you! Hi folks! I've been anxiously waiting for this Winnie & Walter release for quite some time, and am relieved that it's finally here. There are so many different stamp sets, cutaways (dies) and creative screenings (stencils) that it's difficult to keep track of them all! Winnie & Walter have really outdone themselves this time. Wait until you see the goodies! We've got four days that are utterly packed. 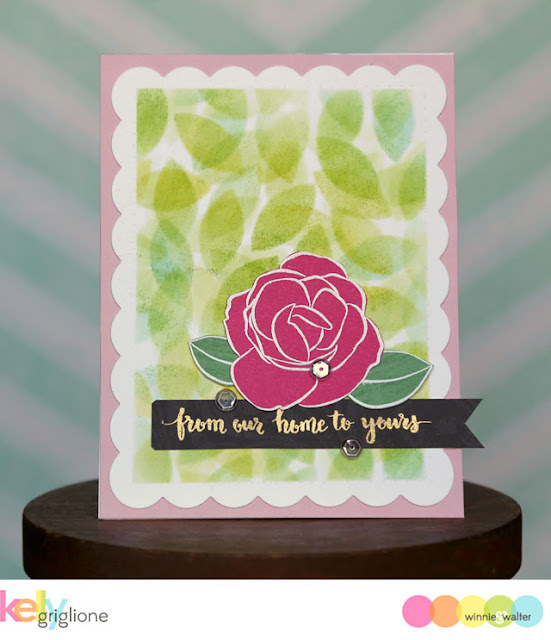 This first card uses just one of the sketchy blooms from In Bloom: Elsa's Flora. I kept this poinsettia white (except for the red Pretty Pink Posh sequins in the middle) and added color to the rest of the card with patterned paper. 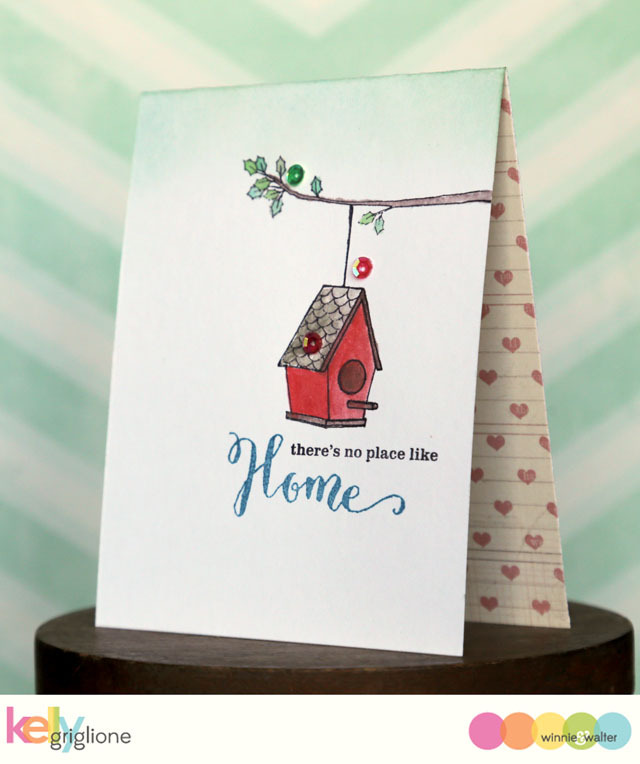 The sentiment is from a set being debuted tomorrow that is filled with wonderfully tiny sentiments. 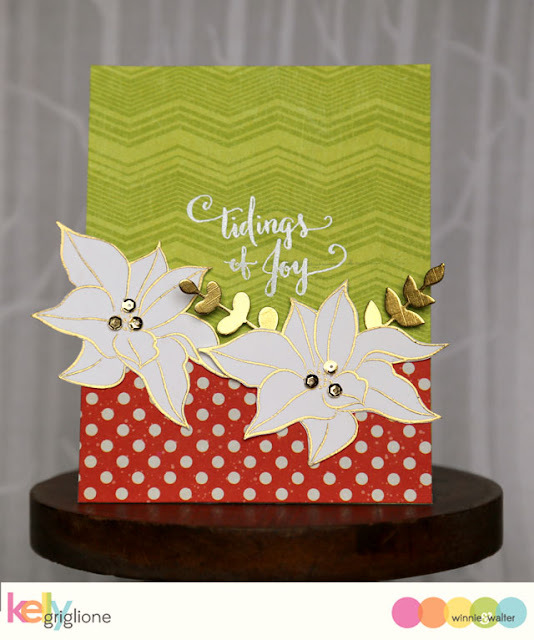 For this second card I used the same white poinsettias, with gold sequin centers, and a sentiment from a set being debuted later in the week. The gold sprigs are also from a cutaway that's being showcased on a future day. I know, I know, didn't I tell you there was so much goodness coming?!? Here are the two cards together. Same basic formula, with two patterned papers being divided a third of the way up with fussy cut white poinsettia(s). A formula like this is good if you're one of those people who is crazy enough to make a unique holiday card for everyone on their list. Not me; I am a proud mass-producer! This release also has some of the great large word cutaways that Winne & Walter is known for. 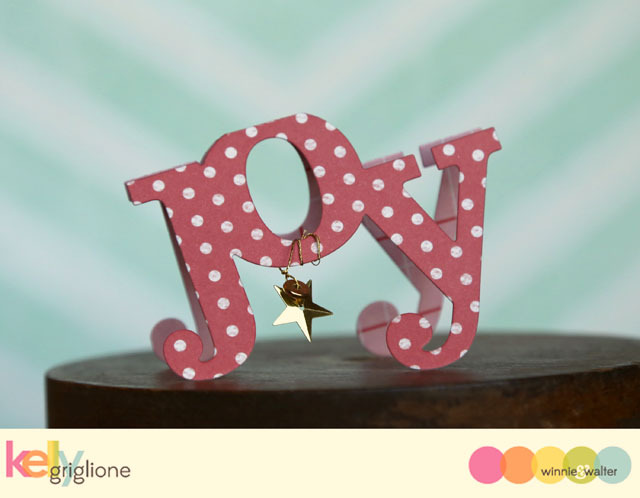 The In a Word: Joy cutaway is a great decoration to add to presents. 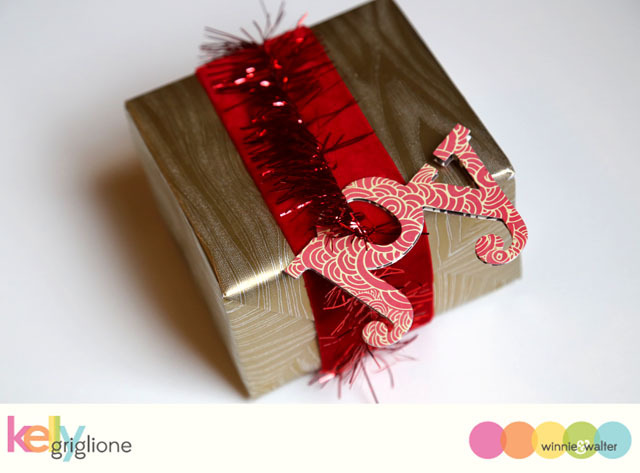 The "o" in the middle of the word is an oh-so-convenient way to attach it ... just run your ribbon through the middle! How about the quickest little card/tag ever? Just place the metal die slightly above your folded paper and you instantly have a unique greeting that you can write inside. I added a star and a disc onto gold thread and hung it from the bottom of the "o". I love the way it dangles! Hi Folks! 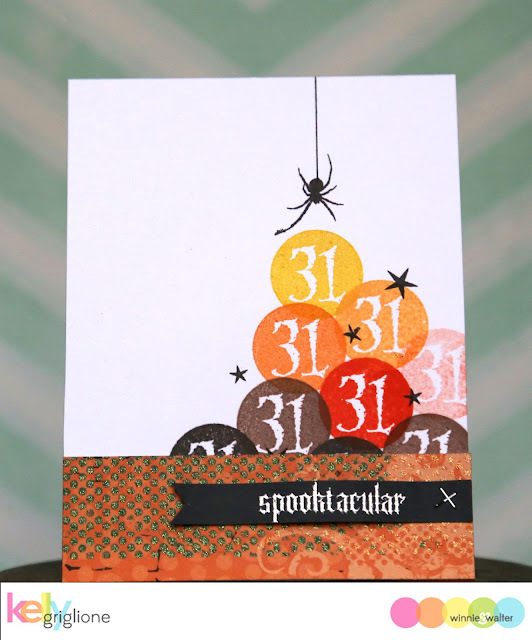 It's hard to believe CAS-ual Fridays Stamps is 3 years old already! 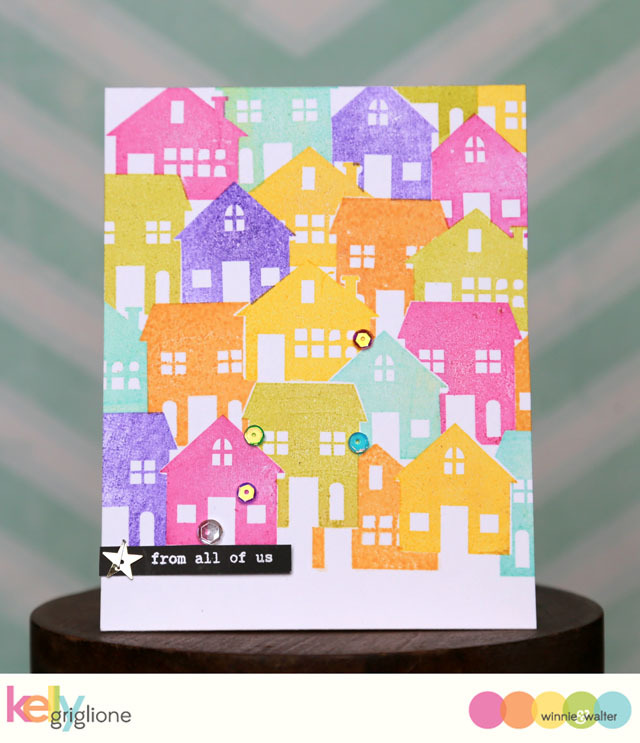 If you're just joining us, we're in the middle of a grand birthday blog hop (starting at the CAS-ual Fridays Stamps blog) to celebrate the anniversary! In addition to this blog hop, there is a no-code-needed sale going on at CAS-ual Fridays Stamps all week. Wait, there's more! 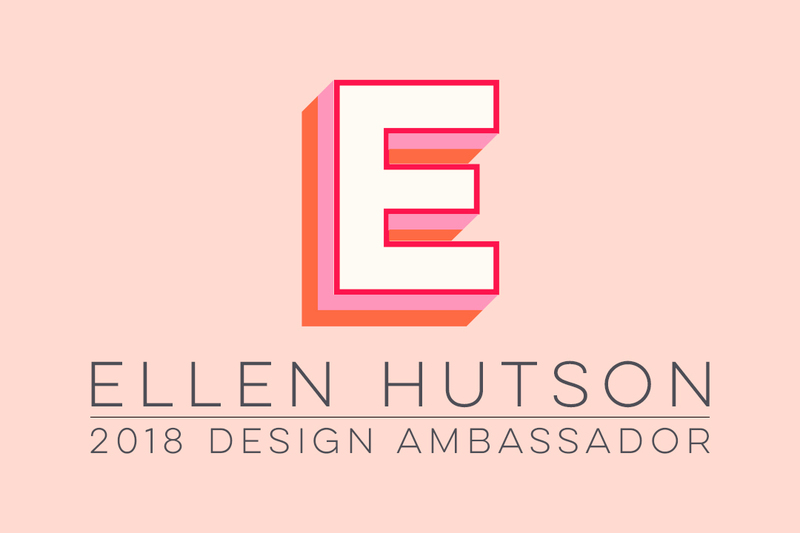 All commenters throughout the hop will be entered to win either a $75 gift certificate to CAS-ual Fridays Stamps OR a MISTI ($60 credit to order one). How awesome is that?!? This card is special because it uses one of the first-ever CAS-ual Fridays Stamps sets called WTF (the sentiment and the line) and one of the more recent CAS-ual Fridays Stamps and Fri-Dies called Must Love Snowflakes and Flurry (snowflakes). It really spans the lifetime of CAS-ual Fridays Stamps. Plus it's so fun to layer those cute snowflakes. 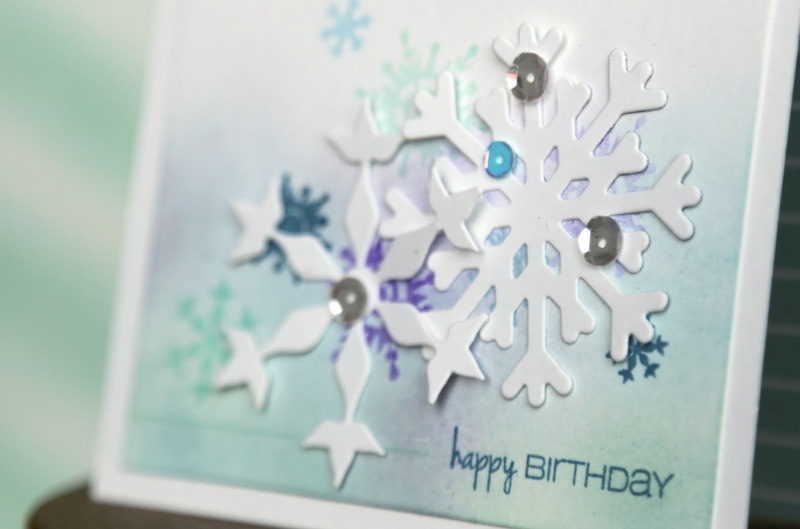 The snowflake in the top corner is bleeding off the edge of the inset panel, and continued on the base of the card for interest. I won't keep you any longer on this blog hop. 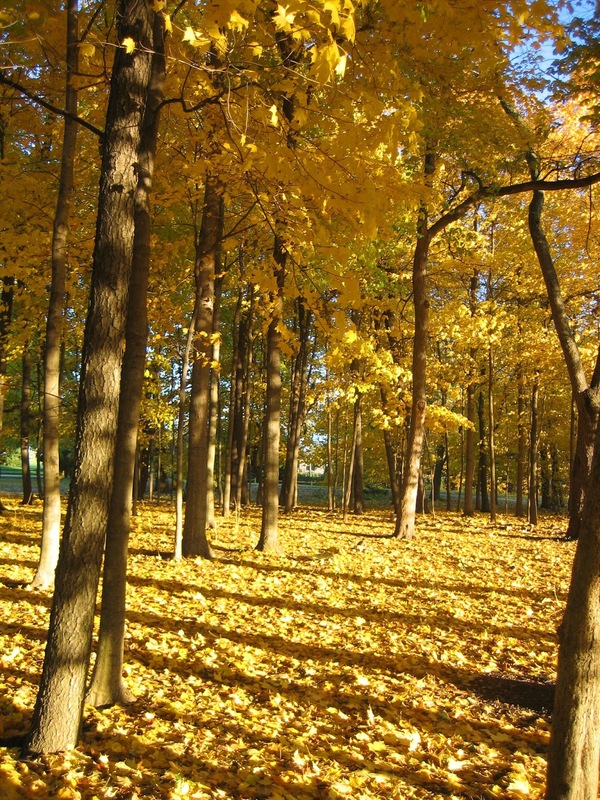 Your next stop is the wonderful blog of Maureen Merritt. Thanks so much for stopping by! Hi folks! 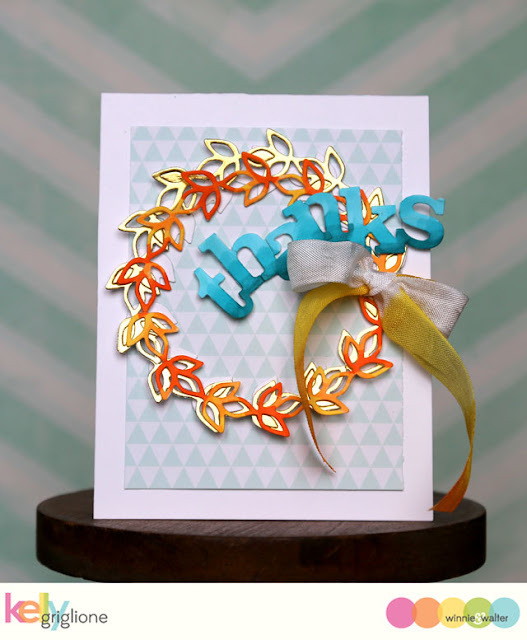 Welcome to the holiday Stamp of Approval Box Blog Hop by Catherine Pooler! I'm joining some of the Winnie & Walter gals, as there is a fabulous w&w stamp set in this Stamp of Approval Box. This set, along with most of the other contents of the box, won't be available to purchase individually until sometime in 2016. So if you want it now, you need the box! 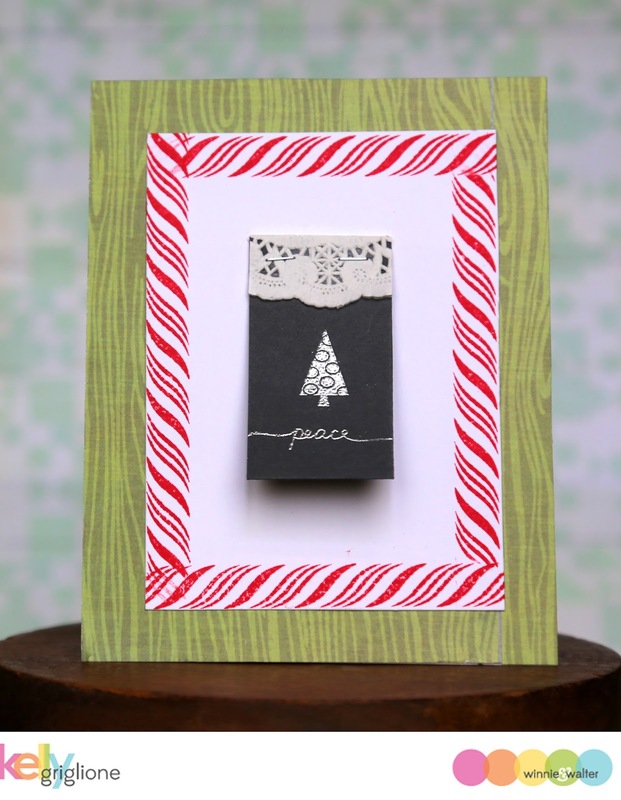 The cute, candy cane stripe, border stamp makes a great frame for featuring something on your card. In this case, it's an adorable tree with a fabulously scripted sentiment. If you're making a set of these cards, you can pick from 7 different Christmas trees, and 3 different sentiments (peace/love/joy) to really mix it up. I wrapped a bit of a doily on the top and secured the loose charcoal paper with my Tiny Attacher. The paper is curled up slightly to give it more presence. It's a 3D element without the bulk to make mailing easier. So fun to make! 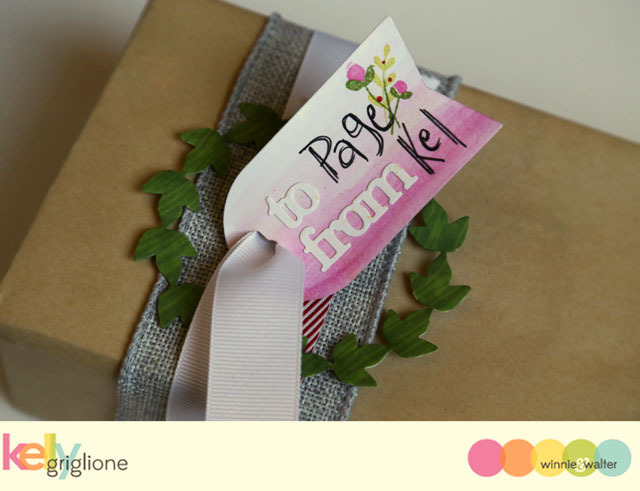 Kelly Griglione for Winnie and Walter <--- You are here! 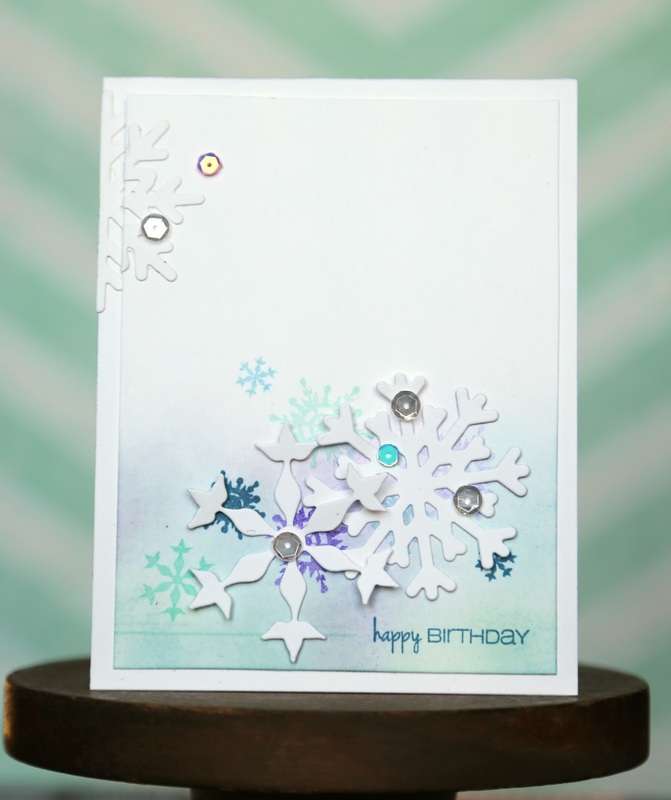 Two winners will be randomly picked from all the comments throughout the blog hop to receive the Holiday Magic Collection Stamp of Approval Box. Comments must be placed by Friday, noon EST to be considered for the prize. Hi Folks! 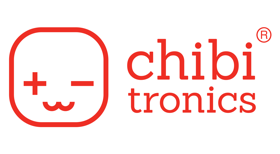 It's challenge time!! Who's up for a fun challenge? The challenge I'm hosting is to ink up only a portion of your stamp. It could be a doorway from a house, a specific pattern, interesting lines, a face of an animal, whatever you can think of. 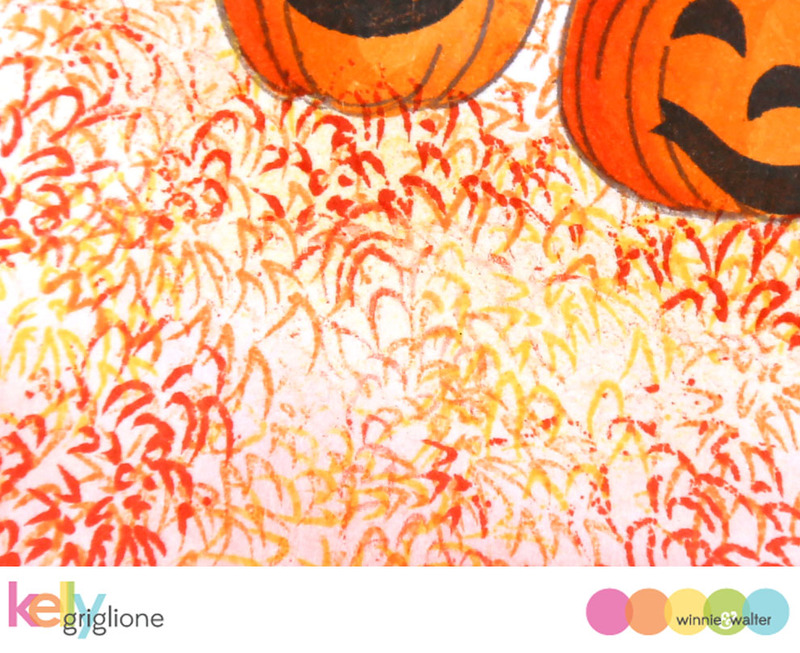 In my case I've inked up portions of a chrysanthemum stamp to make an Autumn field for my pumpkins to sit in. 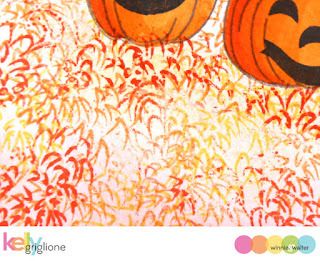 Take a closer look at your stamps and see what you can come up with! I'm all about getting more mileage out of our supplies. 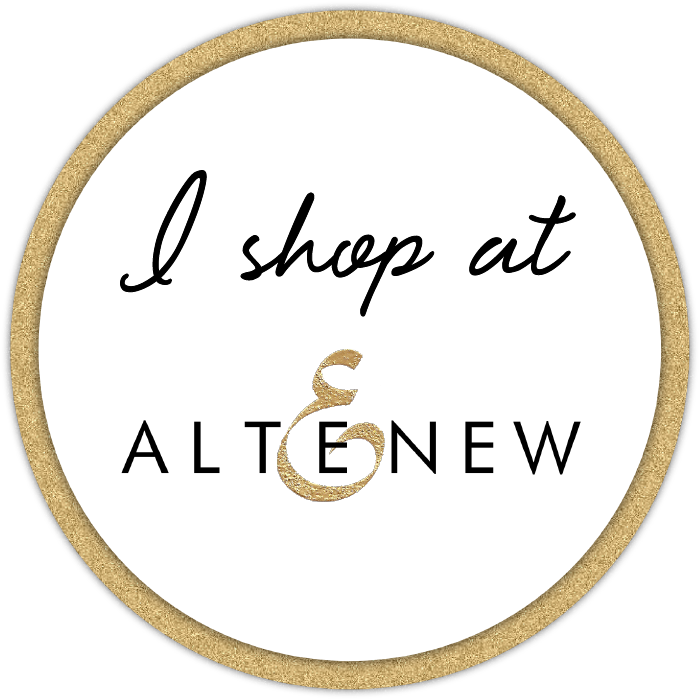 Hope to see you on the w&w blog this week!! Hi Folks! I'm happy to share a sneak peek of the new Pinecones Fri-Die. It's a companion die to the previously-released Pinecones stamp set at CAS-ual Fridays. 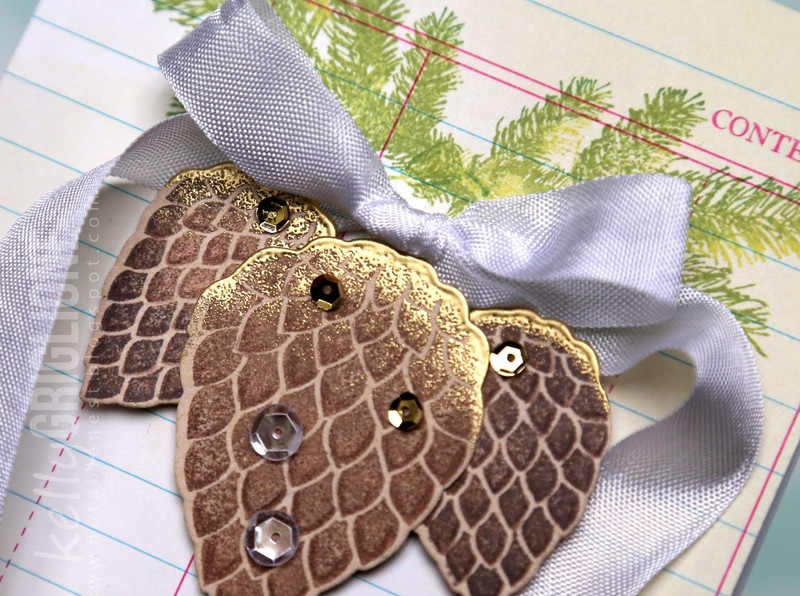 What fun to bling up some pinecones with a little gold embossing on the tops and some sequins! I outlined each "petal" with a brown watercolor pencil to give them some more dimension. 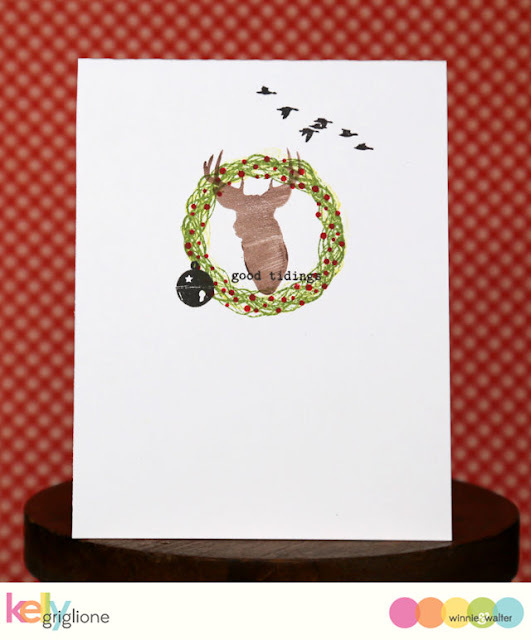 The pine boughs have three different greens inked onto the stamp, again, for more dimension. 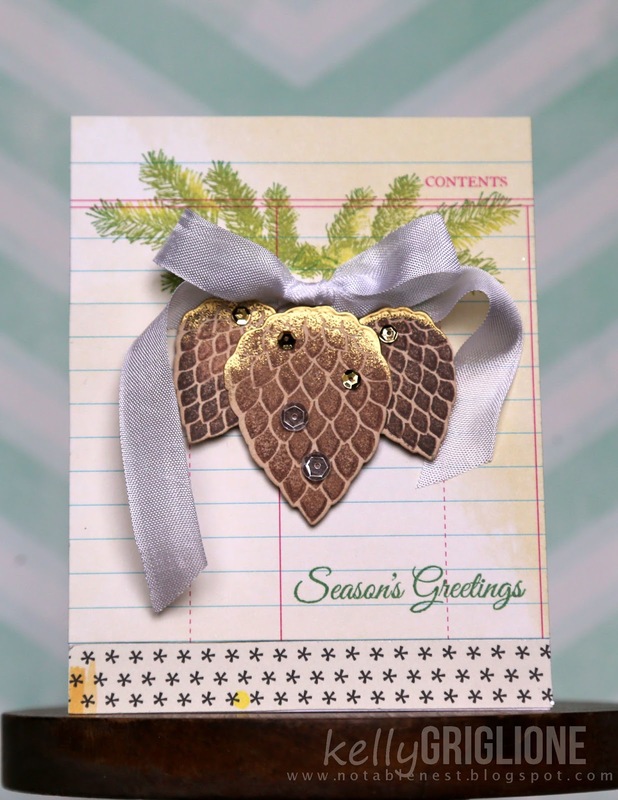 So, you obviously know the pinecone Fri-die is great to cut out the pinecone stamps. What about a flower? If you layer two of the large pinecone dies on top of one small pinecone die in the middle, you get a cute little tulip. Or maybe a rose bud? 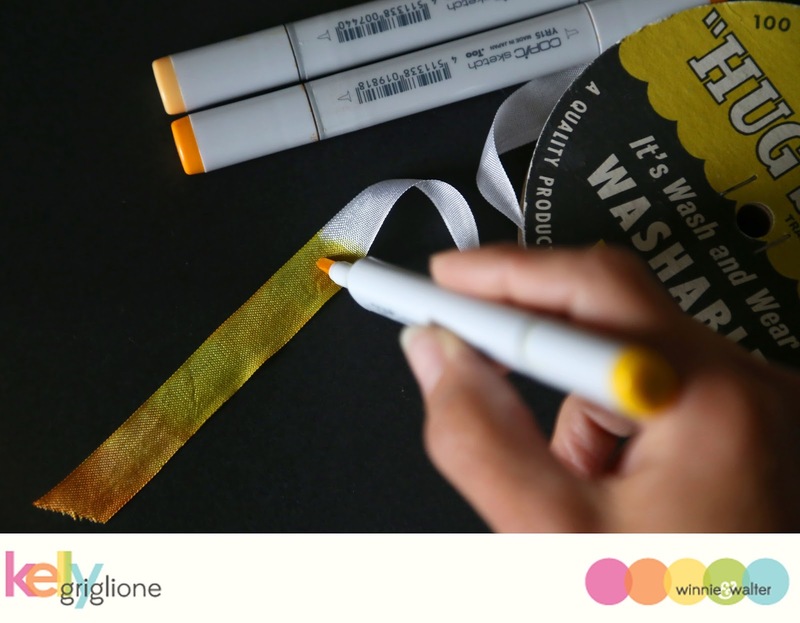 Either way, it's another way to use your supplies, and that's always a good thing! Well, that's the end of the CASual Fridays release sneaks. Everything you've seen this week is now available at the CASual Fridays site. Thanks so much for joining us this week! Hi Folks! 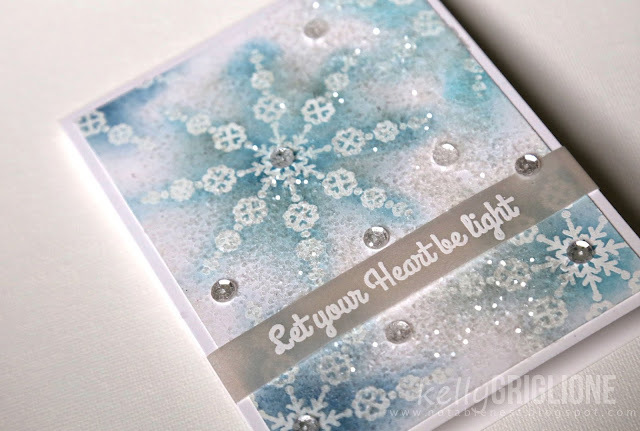 Today's sneak peek from the CAS-ual Fridays release is a stamp set filled with sentiments perfect for Christmas cards. 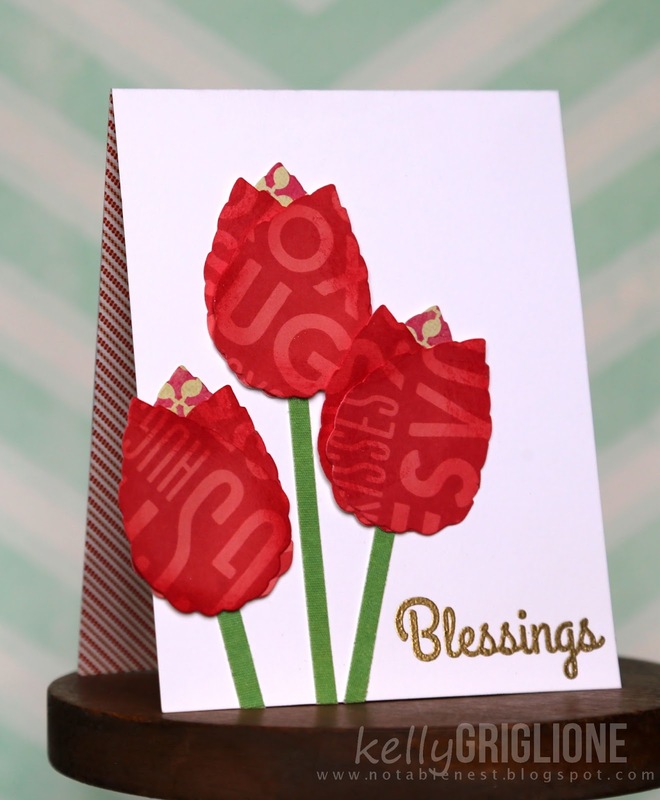 Lovely Blessings includes a nice mix of fonts. 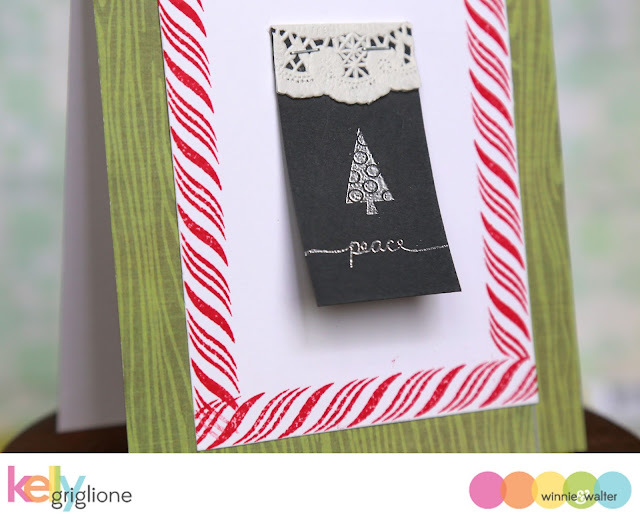 This sentiment layered on some Christmas-themed patterned paper is all that's needed for a fun tag. Or, you could add a little something extra to the top, like the square flower from Funky Square Tag Fri-Die in a metallic red foil paper. I'm always forcing myself not to neglect the inside of the card, because with all the time spent on the outside my natural inclination is to be done with it. This sentiment is the perfect shape for the inside of your card. 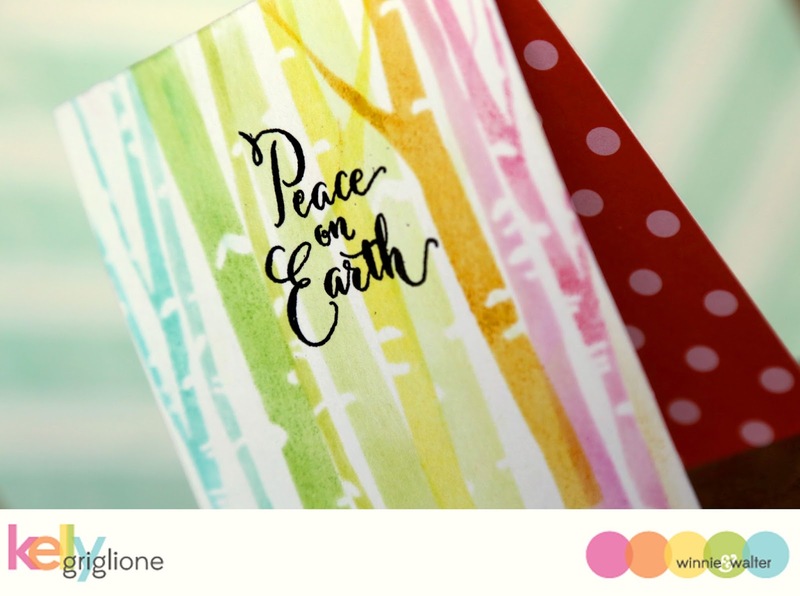 If you're mass-producing Christmas cards, it would look good all in one color, but if you're just sending a single card it's fun to ink the words in separate colors. I am lazy and don't mask anything off, I just use the small ink pads and carefully ink each section of the stamp. 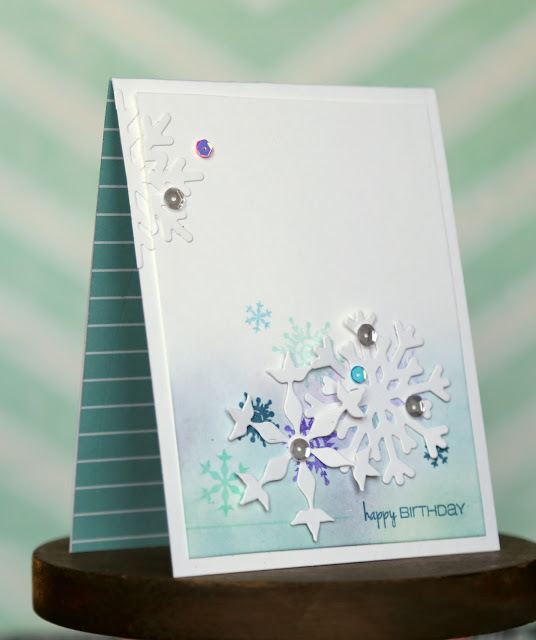 Perfect to fill the inside of your card! Thanks for looking, and I'll see you tomorrow for the last day of the release! Hi Folks! 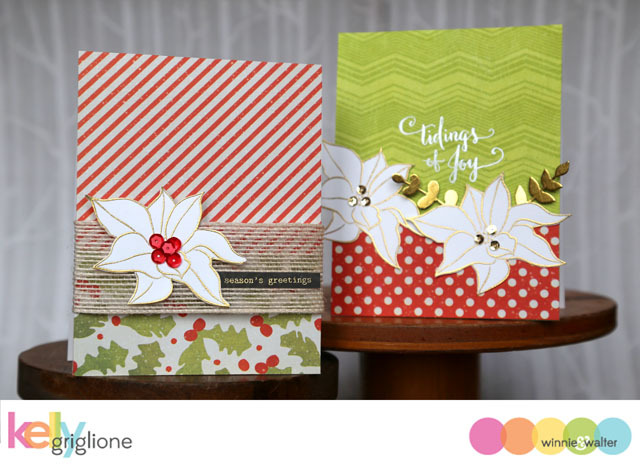 On the first of each month winnie & walter host a fun feature called "rerun" where a previously released set is featured, and you have the opportunity to win a prize by creating a project using that set. 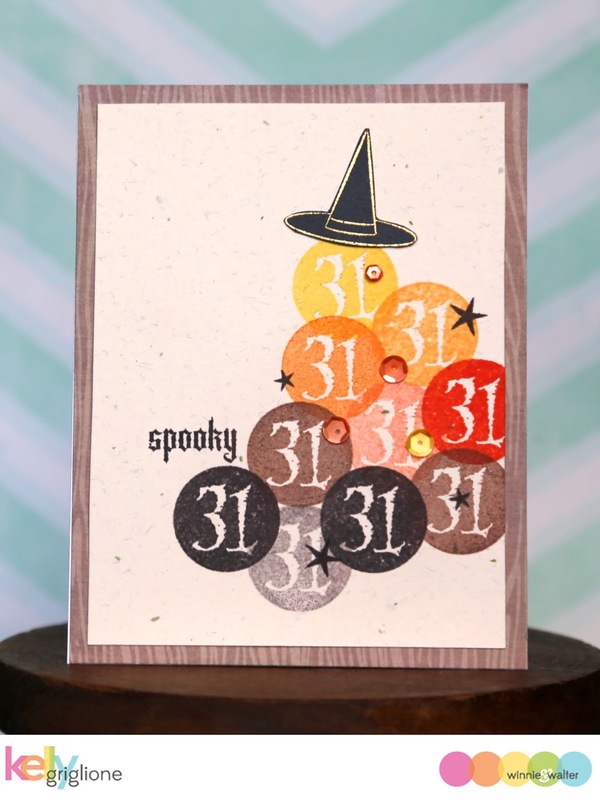 This month the Moonlight stamp set is featured. It's one of my all-time favorite Halloween sets due to all the details included. I'm absolutely sure you could make hundreds of different cards from this set! 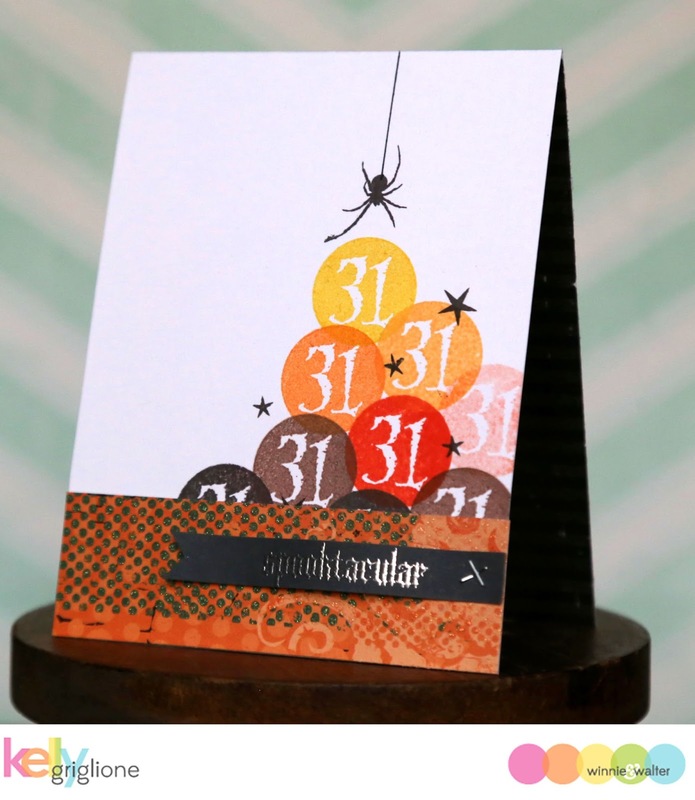 This card features a spider dropping down to a pile of 31's in Halloween colors. I have no idea what that means, but I thought it just looked like a fun, graphic card. 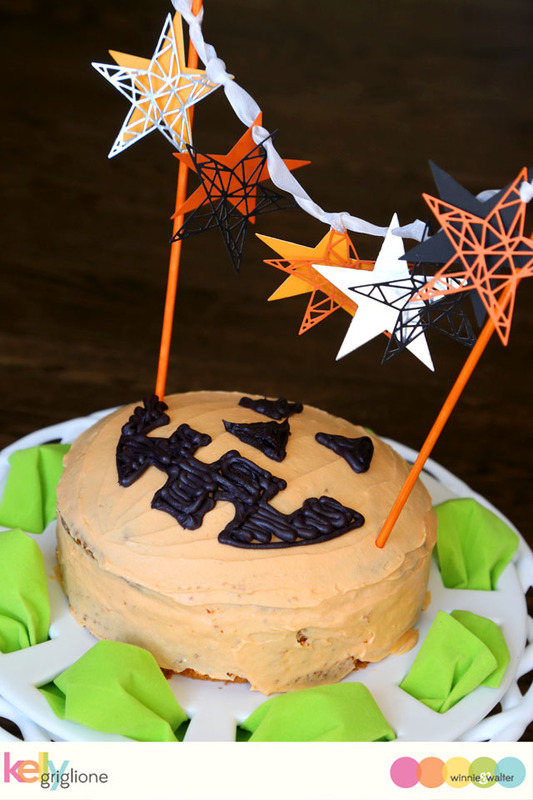 The "spooktacular" banner is stapled and bent into a wave with my fingers. 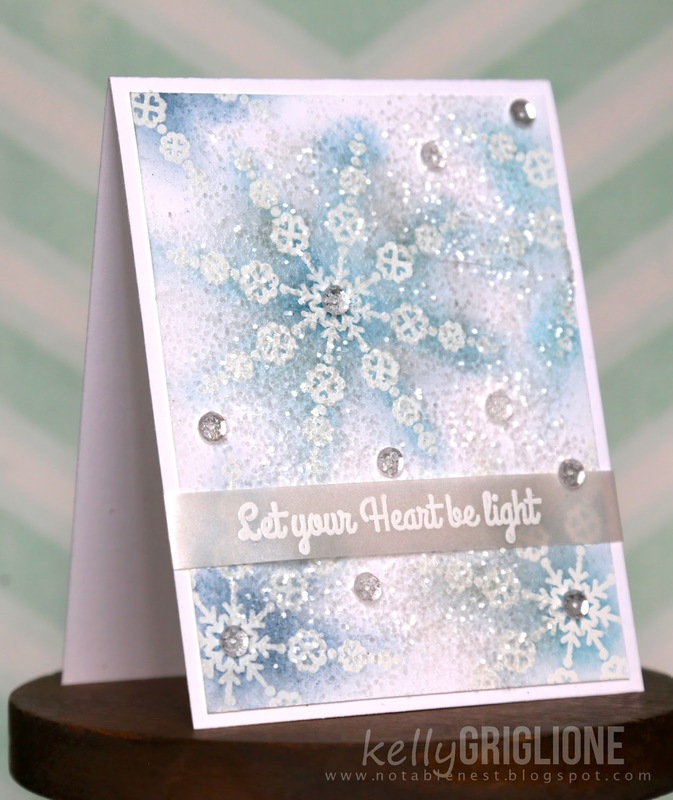 If you're a proud owner of the Moonlight set be sure to link up a creation to the winnie & walter blog! This is from a CAS-ual Fridays set called Lovely Snowflakes which will be released on Saturday, October 3rd along with the rest of the sets you've seen this week. I really like this sentiment, as it could be used for holiday and non-holiday cards. 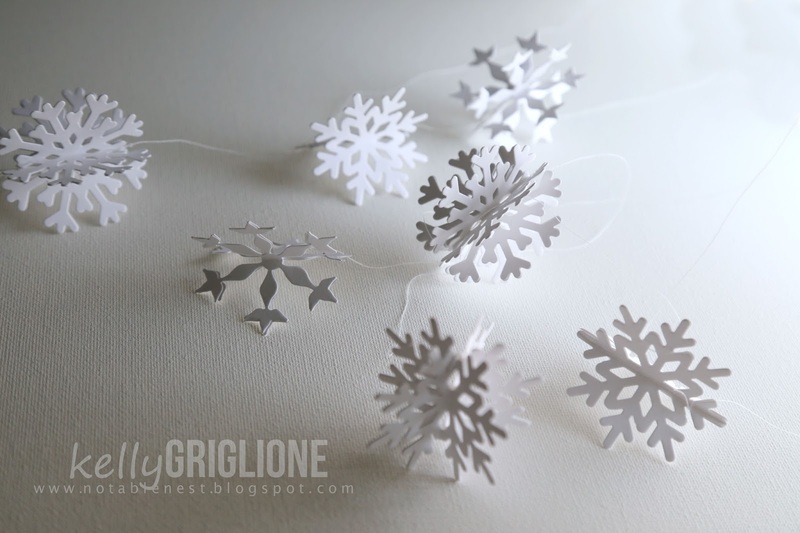 Plus it goes so well with the gorgeous snowflake, because, let's face it, what's lighter than a snowflake?! Thanks for looking, and I'll see you tomorrow with more release goodies!